During New York fashion week I was ecstatic to see so many plus-size models walk the runways. To see Candice Huffine, Marquita Pring, Precious Lee, and of course the gorgeous Ashley Graham was amazing. Each year more designers try to be more size inclusive and its a beautiful thing. It’s nice to see designers step out of the norm and actually help to create the changes we need to see in fashion as far as size diversity goes.While it’s in a sense groundbreaking to see more than one plus size model on the runway, its still kind of disappointing that real plus size women,(above a size 14) still can’t fit the clothes from some of the designers that included plus size models in their shows. With the exception of a few designers who offer both misses and plus sizes in their main lines, plus size women above a size 16 can’t shop the very designers who included plus size models in their runway show. Now, there are a number of things to take into consideration. There’s the whole debate on what’s a plus size model. Most plus size models who are walking in mainstream designer fashion shows don’t even want to be called plus size. Models like Ashley Graham and Ishkra Lawrence have been vocal about this issue. In my opinion its understandable because it can hinder them from getting other jobs if they’re just labeled plus size. However, when designers are using these same models in their shows, can plus size women who are over a size 16 get excited to see them if they can’t even fit into the clothing? According to Refinery 29’s 67% Project, “Most American women are plus-size, but they make up less than 2% of the images we see.” So, if designers are going to use plus size models in their shows as a way to show they’re being size inclusive and that they support body diversity, shouldn’t their sizing reflect that too? For example, Tome, Chromat, and J.Crew respectively go up to atleast and XL. J. Crew stops at a size 16. They’ve all been praised for using plus size models or curvy models in their runway shows. Now, don’t get me wrong. I’m not taking anything away from designers including larger models. However, I can’t help but to think if its a little misleading if plus size women can’t actually fit the clothes in their size. On this site, we have always praised designers who add larger sizes. Sometimes, we’ve even been blasted because some of the designers didn’t go past an 18 or 20. We’ve shown love to Tracy Reese who now offers up to an 18 and 2X. Tracy didn’t even use larger models until she actually offered larger sizes. Chrisitian Siriano who in more ways than one has made his clothing available to plus size women through collaborations with Lane Bryant. Prabal Gurung just launched his collaboration with Lane Bryant back in February. Rachel Roy launched a full fledged plus size collection under her name. Michael Kors is also one of very few mainstream designers who makes plus size clothing. Although, sometimes he doesn’t make some of his runway pieces in plus. My hope is that designers aren’t using plus size models just to bring attention to their shows. My hope is that we will start seeing plus sizes up to atleast a size 24 added into the clothing lines of the designers who are featuring larger models in their shows. If you’re going to feature plus size models, then these designers should atleast offer real plus sizes into their clothing lines. This is not about begging mainstream designers to make clothes for plus size women. This is about calling out any designer who is using the plus size and/or body positive community to benefit their fashion shows. If you truly care about being size inclusive then represent plus size women all the way. If you’re plus size, please know that we have a slew of plus size designers that cater to sizes 14-28. PLEASE support them. You can checkout our list HERE. 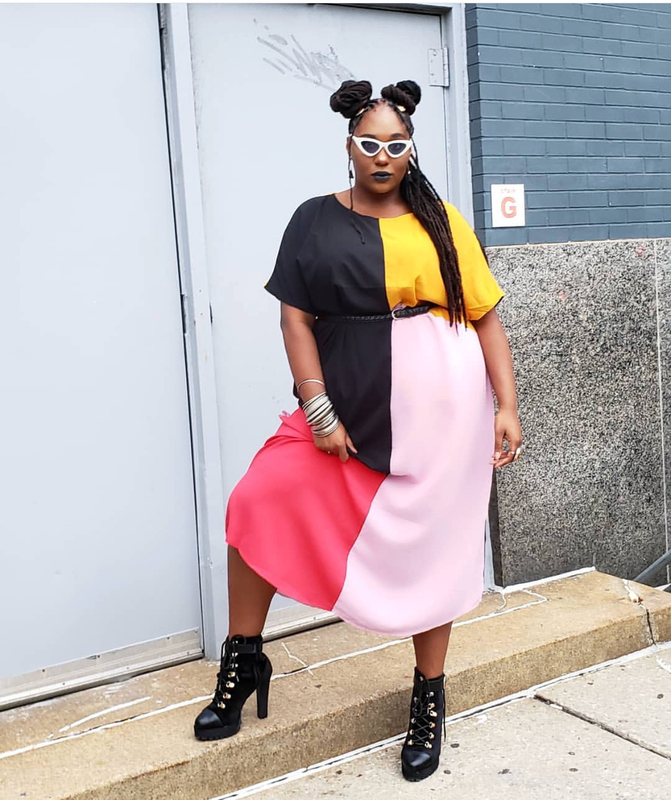 I’m also hoping that we start seeing actual plus size designers Monif C. Jibri, Zelie For She, Courtney Noelle, Youtheary Khmer, just to name a few show at New York Fashion Week. Even indie designers who offer both misses and plus sizes like Nakimuli, and Reuben Reuel would be a breath of fresh air to see during fashion week. That would be real diversity. 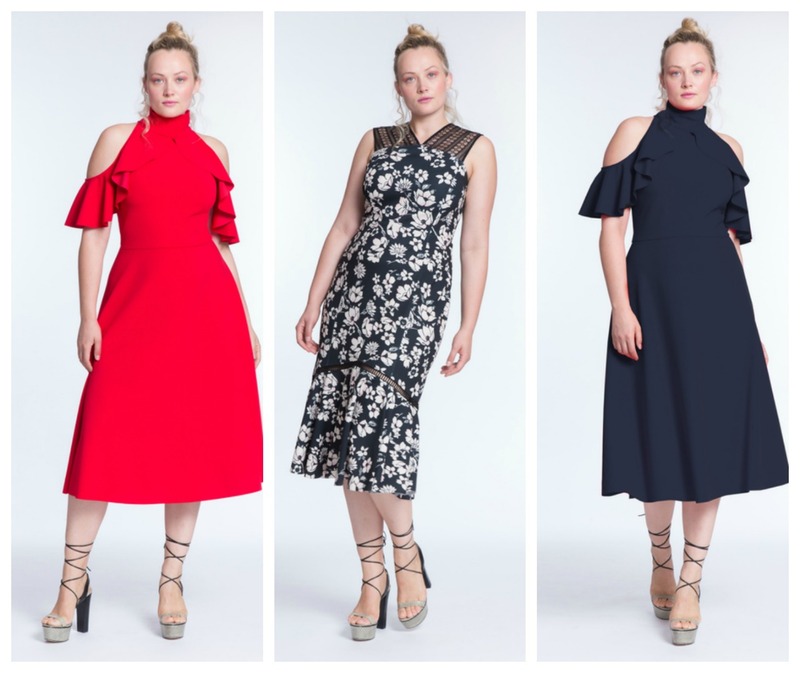 How do you feel about designers using plus size models but not offering true plus sizes (above a size 16) within their clothing line? I read this article and found it very interesting, thought it might be something for you. 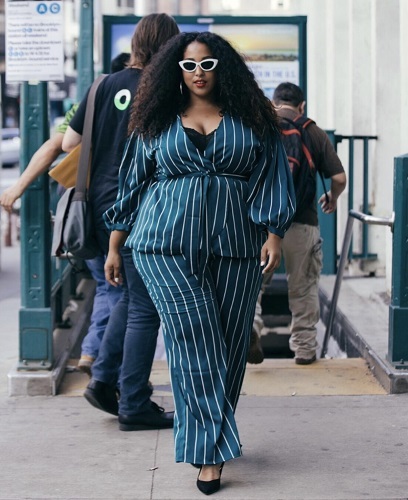 The article is called Although Plus-Size Models Walked In New York Fashion Week, Real Plus Size Women Still Can’t Fit The Clothes and is located at https://stylishcurves.com/although-plus-size-models-walked-in-new-york-fashion-week-real-plus-size-women-still-cant-fit-the-clothes/. I don’t have a problem with plus sized models not wanting to be categorized–and, I don’t have a problem with clothing lines expanding to sizes above a 12 but not extending to a 24. According to the ‘standard’, plus size starts at size 14. When I was younger (and much thinner) I did not know this, nor considered myself plus sized because I did not shop at Lane Bryant and other plus sized stores. It wasn’t until I could no longer squeeze my fanny into a 16 then went kicking and screaming to Lane Bryant. I came out with size 18 clothes and made the confession, ‘ok, I am officially plus size’. Several plus size bloggers I follow admit they can still buy some of their clothing in misses and junior sizes. When is plus size too small to benefit the masses? 16? 18? On the other hand, how large is too large? Women larger than size 24 feel under represented also. 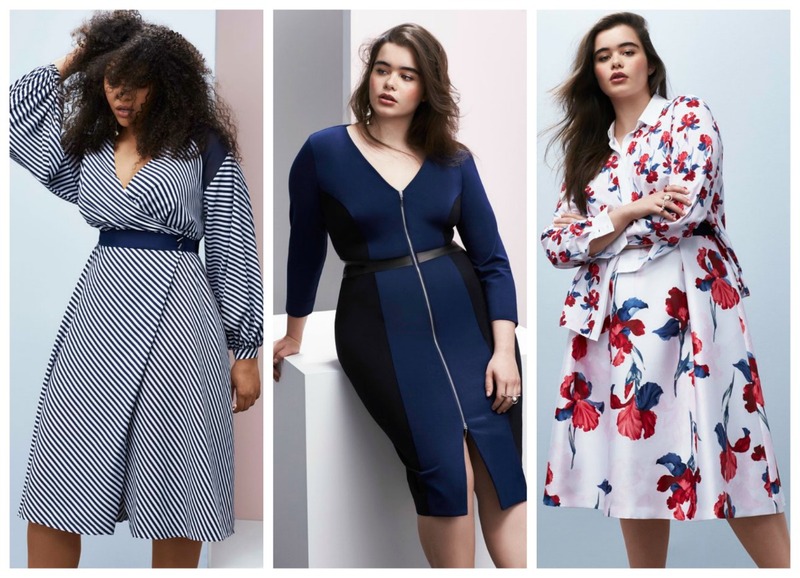 Lane Bryant designers along with Melissa McCarthy and Ashley Nell Tipton are giving life to plus size clothing trends in stores. However, mainstream runways have their own audience and interests.